So often we say, or hear this phrase as do our children. They strive to be perfect but it just isn’t always possible. This book helps readers understand how hard it is to be perfect in everyday fun ways. Young readers will love the pencil drawings painted with acrylics on water-colored paper especially because they are reminiscent of how children draw with extra lines. The colors are realistic, vibrant, and smooth. The basketball looks ready to bounce and the blanket ready to snuggle under. The main character’s huge smile on the cover instantly wins you over. This book uses only a few instances of misbehavior which helps to keep the story line simple and straightforward. 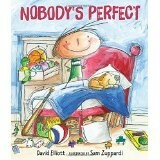 The main character points out how sometimes it is someone else who is less than perfect: sister, pet, friend, even Mom. That distance from the reader allows the story to be told without becoming threatening or preachy. Actually, the illustrations allow readers to find humor in falling short of perfection. The conclusion is satisfying in every way. 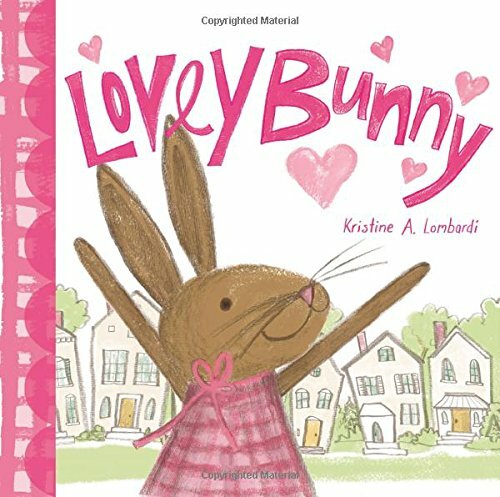 The front and end papers of the book would make wonderful drawing lesson practice for the youngest artists as they make a drawing of all their own favorite toys, pets, and friends. The words are sparse and easy as well as in bold, larger than normal font. First grade readers will enjoy reading this story over and over on their own. Literacy skills can be fulfilled in the classroom, the library, or the home. Discussions about mistakes can be begun or continued making use of this fun book. Different kinds of birds sing different songs. The sounds, habitats and diets of a few birds are told in simple direct sentences. The contrasting colors used by John Himmelman make each page an individual beauty. Correct details of each habitat and every bird described will provide young readers with things to find and study in each picture for a long time. This entertaining book will also draw teachers and librarians to seek out other books by the same author. Second grade readers will be able to read the text independently, in many cases, but much younger children will enjoy having it read to them. Older children may use it for science reports or for ideas to use in building dioramas. Children who love to draw or paint might be encouraged to try illustrating things from their own backyard after studying these realistic illustrations. The sounds included provide teachers, parents and readers an opportunity to practice the literacy skill of onomatopoeia while learning about birds. What fun it would be to have different children assigned to make the call of a particular bird. This is a good introduction to reading nonfiction books and picking out important details. After reading it, students might write a nonfiction sentence of their own. The activities and facts at the end of the book will encourage and aid young readers to broaden their knowledge of birds and birding. 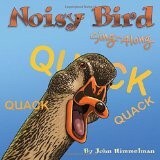 This book will be a great addition to classroom, school, and home libraries for children ages 3 -8.